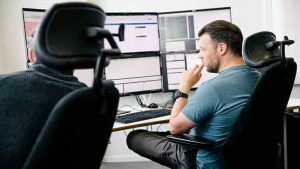 Enterprise Times flew into Gothenburg to visit the NTT Security, Security Operations Centre (SOC). 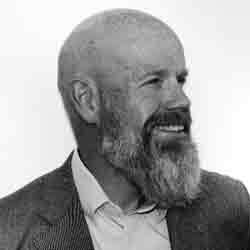 While there we were able to catch up with Fredrik Westerdahl, Senior Director of Threat Detection in the Managed Security Services organisation. Westerdahl heads a team that spends its time looking at traffic from customers, identifying threats and advising customers on strategies to resolve them. With the increase in cyber threats, Westerdahl believes that companies need their own capabilities in this space. However, the breadth and complexity of the subject coupled with the global shortage of staff make this difficult. One solution to this is to collaboration with a partner such as NTT Security. The first challenge that organisations have is dealing with the amount of data they are faced with. They have to overcome the quantity of data and then refine it to get something that they can use. This is compounded by a lack of tools inside organisations. They don’t have their own and building tools that are capable of doing this is complex. Even selecting commercial tooling is challenging because there is no guarantee that the tools will do what an organisation needs. Separating out the threat from the data requires knowledge. This is something that is time consuming and where partners can help. Westerdahl also talked about the potential of AI and the use of heuristics rather than just pattern matching. Training the machine takes time. To hear what else Westerdahl had to say listen to the podcast. Previous articleWhat are cyber security professionals worth?